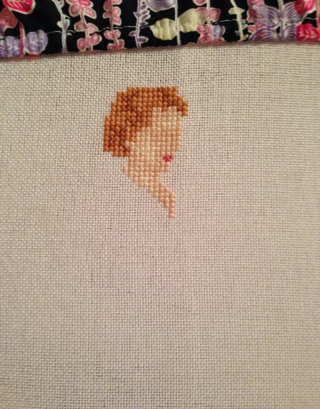 StitchyDonDesigns: Progress on Victorian Dressmaker !!!! 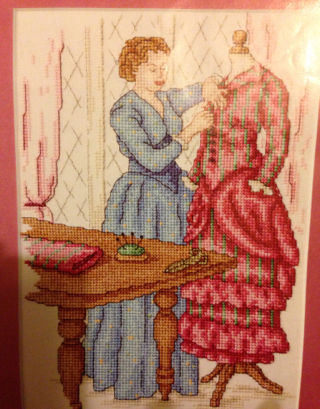 I am feeling much happier about my sewing now, this project is lovely and will stitch up very quickly !!! To cheer me up my mum bought me the little sewing gifts in the photo, a 'cute as a button' button and a button coaster, how cool is that !!! It is too nice for me to use yet though, haha !!!! 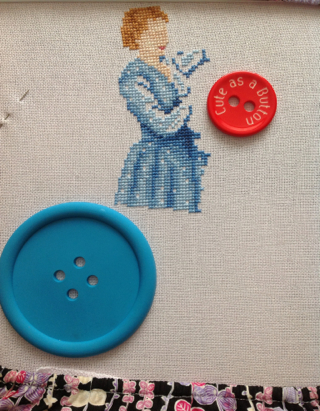 Lovely progress on the stitching & love the button goodies!!! So cute! Thank you, it feels good to be stitching again !!!! That's such a cute project! I ADORE the button coaster... where did your mom get it? Cute design Donna and you have made great progress. She is coming along beautifully! Love the buttons especially the coaster, too cool. Such a lovely design,great progress,it is going to super when it is finished.